The Queens birthday long weekend took me on a trip to Hervey Bay to visit Stephanie for a few days. Of course, it was hard to leave my bikes at home with no one there to ride them... so I took one with me! 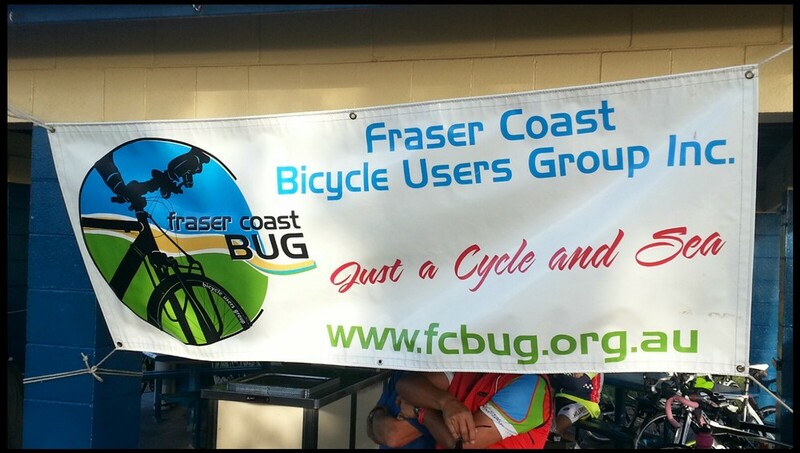 :) Lucky for me, it was the annual "River to River Bike Ride" put on by the Fraser Coast Bicycle Users Group. Or "The Bugs". I have mentioned this group of cycling enthusiasts in my previous posts before I went on signature tour. They are a wonderful group of people and a pleasure to ride with. The River to River Ride started at Burrum Heads and finished at Point Vernon. Approximately 45km. The weather was great, with a bit of cloud cover overhead. There was a group of riders meeting at Eli Waters who were riding out to the start point. Approximately 45km. I rolled up to the meeting point in the dark to find a couple of familiar faces from my previous ride with the Bugs. As I expected they were very welcoming and happy to have me along for another ride. We arrived at Burrum heads after a nice relaxing warmup. I paid my late entry fee, received my arm band and took a quick photo of the view at now that the sun had come out a bit. 8:00am on the dot, and we were off! I jumped in towards the front of the group as we rolled out onto the main road. It was a nice comfortable pace for the first few kms until a few of the faster guys started rolling past. I made the jump and followed suit. Soon enough I found myself on the front of the bunch, pushing into the headwind. The nice straight flat roads were perfect to push the pace along. We were waved through the first turn (by mistake) so we missed the morning tea stop... Not to worry, we were on a roll and had soon lost the main bunch. The 5 of us who were left followed the course along some lovely scenic roads until we came to the finish spot at Point Vernon. It had been a great ride for the morning and only just missed the rain... The view here was also magnificent. The coffee van showed up shortly after we arrived and the line up started to form pretty quickly. (I guess cyclists are the same everywhere you go...) I showed my arm band and received my lunch. Yum! 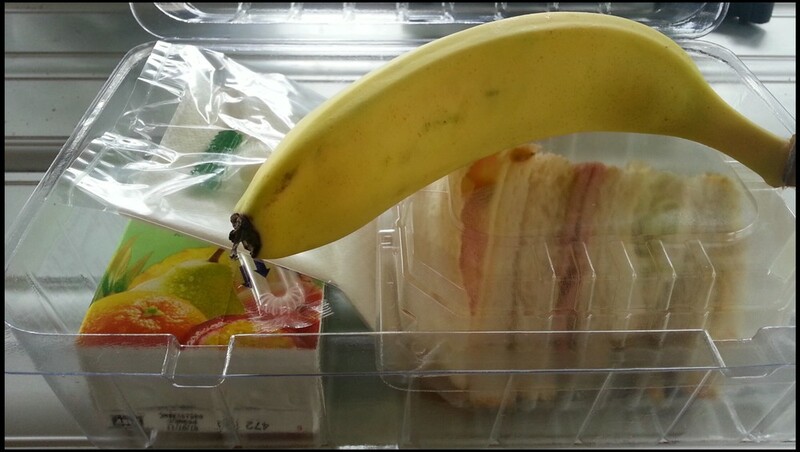 Its been a while since Ive had a lunch box! It was great to catch up with some of the locals again. Thanks to the Bugs for being so welcoming and I cant wait to come back for another great day on the bike with you! That afternoon I was meant to race in the local Club Crit, but the weather had turned a bit ugly. Stephanie and I decided to check out the "Relish" food and wine festival instead. Fresh sea food, German hot dogs, spiraled potatoes, home made ginger beer, Spanish guitar music and much, much more! We watched a cooking demonstration by Dan and Steph, the recent winners of the My Kitchen Rules TV show. We listened to their amazing stories about the fun times they had whilst filming the show and what the future holds for them now. 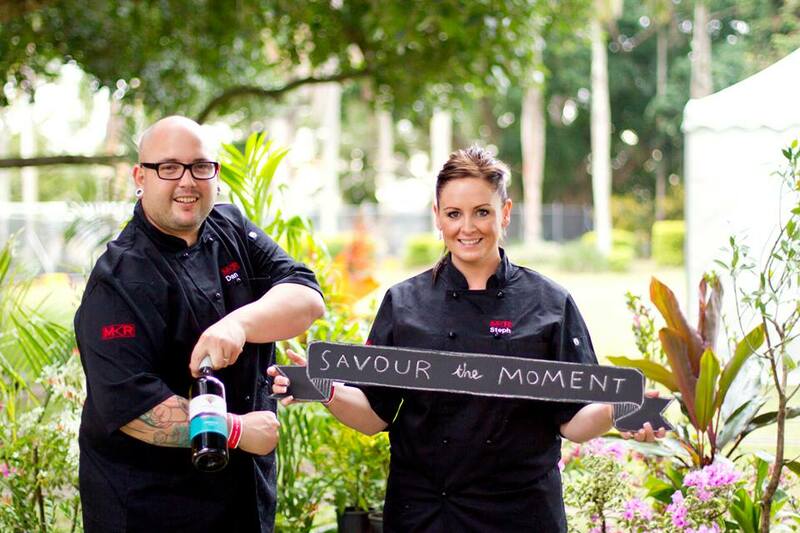 They are a great pair and I cant wait to see what amazing food they produce when they open their shop in Hervey Bay! What a great weekend with my Wife!